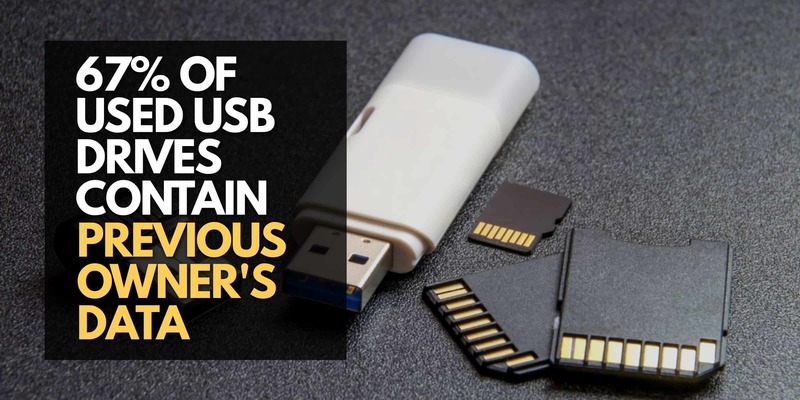 Despite Americans‘ greater efforts to remove data from USB drives before selling them, the proportion of USB flash drives from which data could be recovered was almost equal in the UK and the USA at 68 percent and 67 percent, respectively. Researchers noted that the types of data found on USB flash drives varied somewhat by country. Americans‘ USB sticks contained more business documents, while those in the UK contained more personal information. Simply dragging files into the trash can or highlighting them and hitting the „Delete“ key does not permanently erase data from a USB drive. Similarly, formatting a USB drive still leaves recoverable remnant data. To fully erase data, it the storage area containing it must be overwritten, preferably by secure data erasure software. Read our guide on how to securely erase SD cards and flash drives to learn more. In some cases, online sources erroneously suggest wiping devices using a „Quick Format“ on Windows, which leaves recoverable remnant data on devices. A full format is necessary to completely overwrite remnant data.